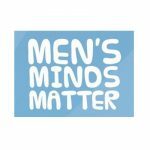 Men’s Minds Matter is a not-for-profit community interest company dedicated to the prevention of suicide through strengthening the psychological resilience of men and boys. Established in 2011, MMM has been actively campaigning and raising awareness of the challenges experienced by men, including suicide. We have been developing, delivering and collaborating with other passionate individuals and organisations to develop interventions that reduce suicide rates and enhance psychological well-being. We provide learning and development opportunities on suicide prevention and contribute to a number of working groups including the Alliance of Suicide Prevention Charities, the National Suicide Prevention Alliance & the Male Psychology Network.